This week Drs. Harty & Gauger walked us through the literature surrounding the care of the patient in cardiac arrest as part of their Quality Improvement & Knowledge Translation project. Dr. Kristiana Kaufmann, a visiting professor from Wayne State, provided us a look at Global Health opportunities. Our Quarterly Simulation session, lead by Dr. Bryant, was a case of a 15 year old with new onset SOB and polyarthralgias. Lastly Drs. Stettler & LaFollette provided us with mock oral boards cases. 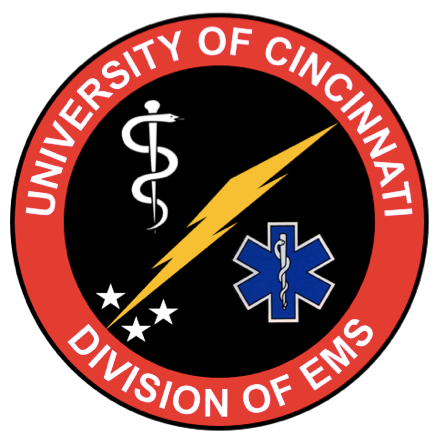 This week we got put in the hot seat with oral boards on AAA rupture, SVT and eclampsia, a simulation with end-of-life discussions, a critical beta blocker overdose from Dr. Lagasse and some Peds EM tips on conscious sedation from Cincinnati Children's PEM Fellow Dr. Lee. Click to check out more highlights from this week's Grand Rounds! This week Dr. Knight taught us about the management of seizures and about how to manage our own fear. We were schooled on the hypotensive LVAD patient by Drs. Boyer, DeVries and Winders. We learned about oncologic emergencies from Dr. Continenza. Dr. Gorder tamed the SRU and taught us about chemical asphyxiation and burn injuries in the process. We were fortunate, a couple weeks back, to have Dr. Brian Burns of Sydney HEMS come and speak to us. In his lecture, “When the 1% Makes All the Difference” which you can find here, Dr. Burns hit on a number of excellent points. We sat down and talked with Dr. Burns a bit more extensively over a couple of the themes of his lecture. In this podcast, we cover some of the plus/minuses of checklists, the importance of high fidelity continuous training practices (simulation, routine case debriefing, intensive induction training), and the role of cognitive factors in running resuscitations. Should resuscitations run like a jazz quartet or a Formula 1 pit crew? Are checklists simply in the way or do they cognitively unload the team members to improve performance? How do you train cognitive factors in resuscitation?